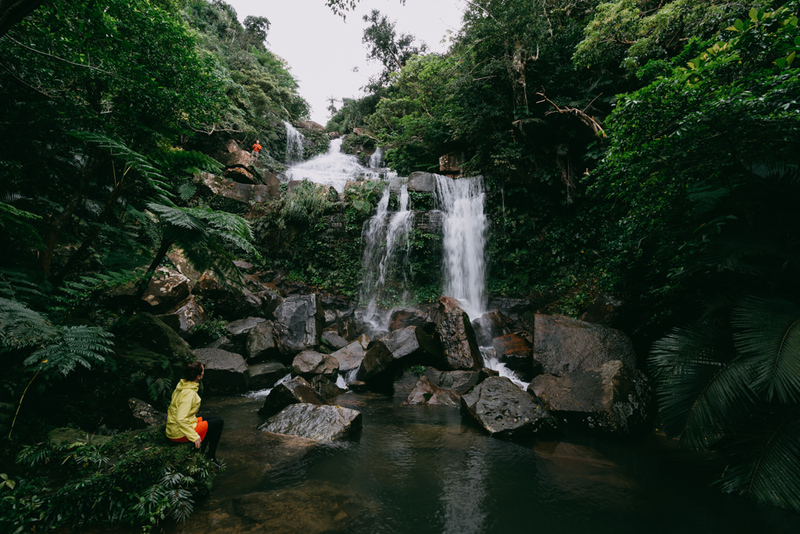 The longest waterfall in Okinawa Prefecture is best viewed on approach by kayak. There are many kayak tours available. 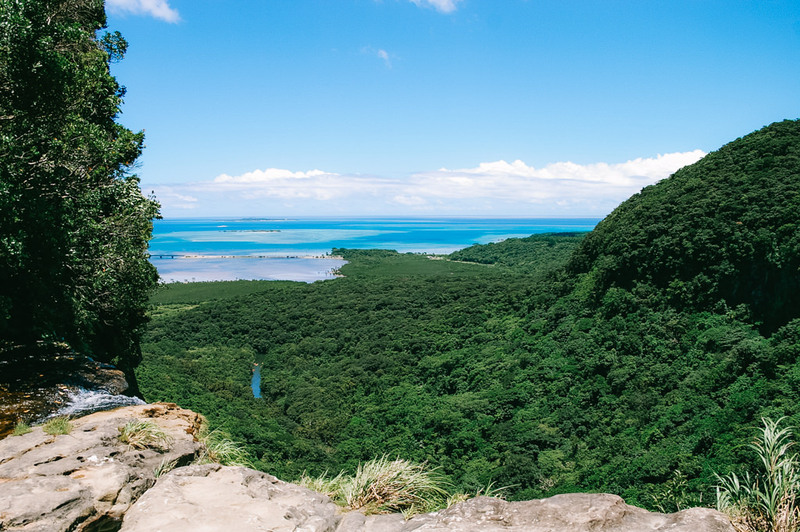 When you get to the waterfall, we highly recommend the 45min hike to the top of the waterfall where you can have an amazing view of the mangrove swamp right out to the coral reef. It can get a little busy in the peak season (Golden Week, Obon Holiday and New Years) due to its popularity and easy accessibility. Take the passenger ferry over to Funauki Port (around JPY1000 per person return), and take a short walk to Idanohama beach. On a clear day, this is a spectacular beach. Once on the beach, walk to the headland on the right side and just around the corner is another secluded amazing beach with an amazing rock wall. The best time is before 1pm when you get the shade of the rock wall. The northern area has some great trails that you can explore without taking a guided tour. 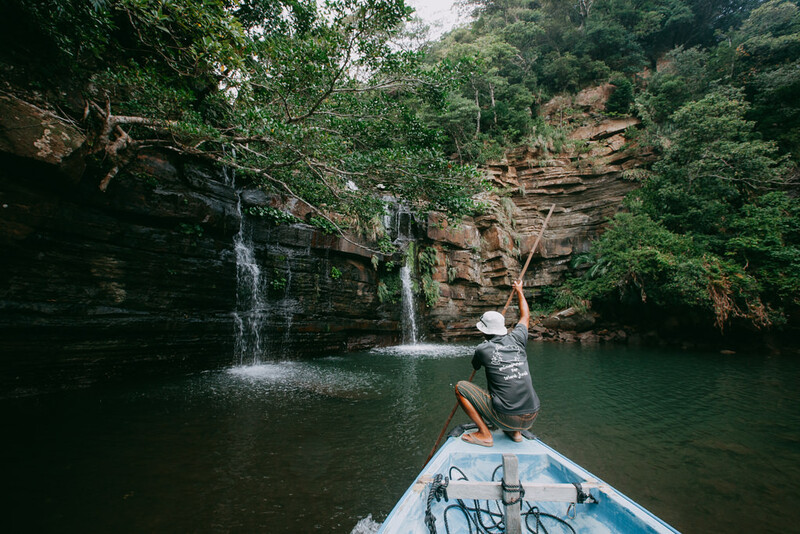 A boat tour is a great way to see many of the spots that are completely inaccessible by foot, car or kayak (unless you have unlimited energy!). 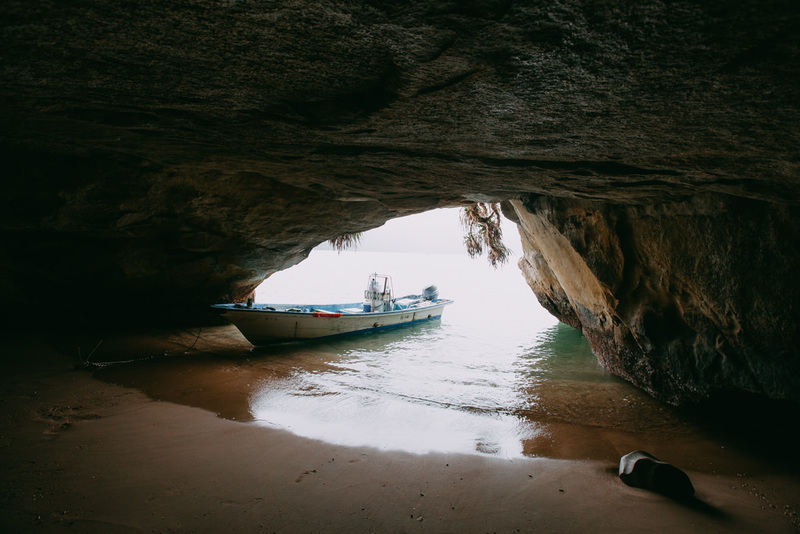 With a boat tour there is the possibility to visit sandy beach caves, jungle waterfalls, coral sand cays, deserted beaches and have an amazing snorkeling experience within a limited time frame. For a private boat tour, we recommend our friend Kobuchi-san. He has a small covered boat and does half-day or full-day charter trips. It is best to ask someone who speaks Japanese to call, or use our service – 090-5294-2144. Kobuchi-san charges JPY20,000 for the private charter plus JPY10,000 per person for a full-day tour including insurance, lunch and drinks, so if you are with a group this is good value. For a non-private but small group tour, we recommend a tour by motorized raft boat (Haimipapiyon 0980-85-5538). 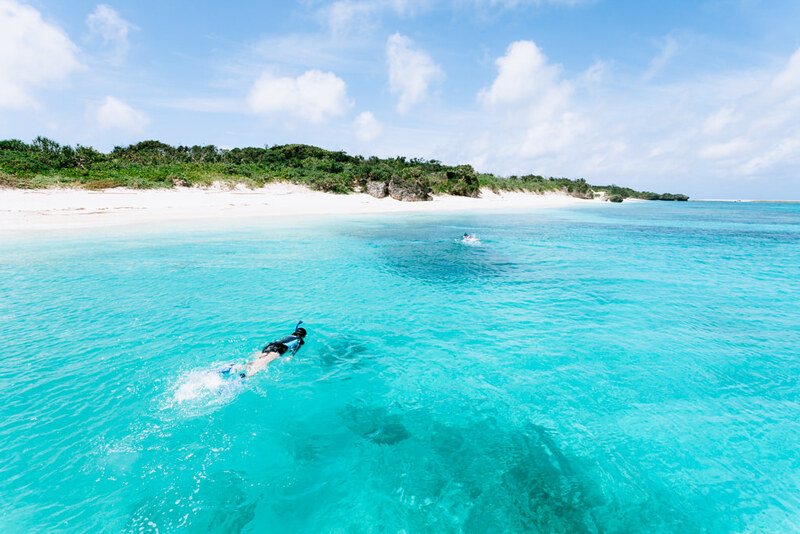 For JPY10,000 per person, you can go to a waterfall in a mangrove river, a jungle waterfall, some beautiful snorkeling spots, deserted beaches, etc., as a full-day tour, including insurance, lunch and drinks. 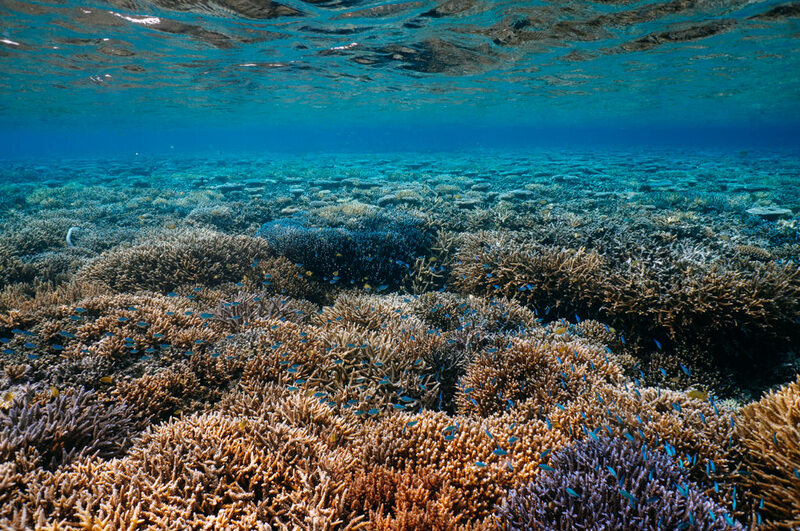 Iriomote has amazing offshore coral reefs, so it is essential to take a snorkeling tour by boat on a sunny day. 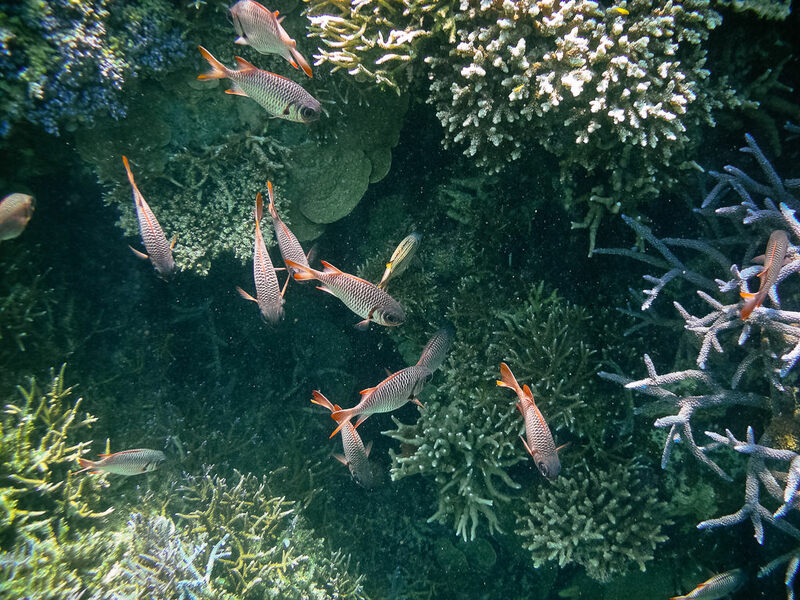 Alternatively, you can combine some snorkeling with the boat charter (rental is possible if you don’t have your own gear). 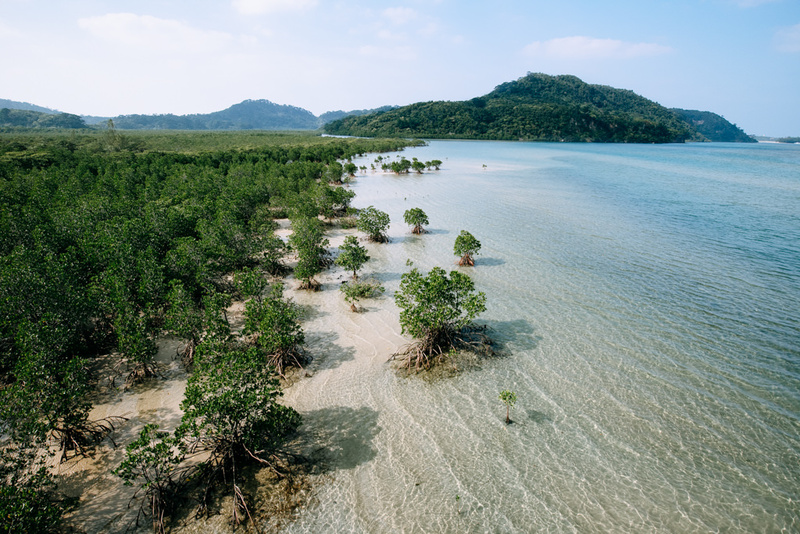 On the north end of the island, take the “Urauchi River Jungle Cruise” tourist-boat up the mangrove river and hike the relatively easy trail to Kanpiree Falls (about 1 hour walk from the boat drop-off point). 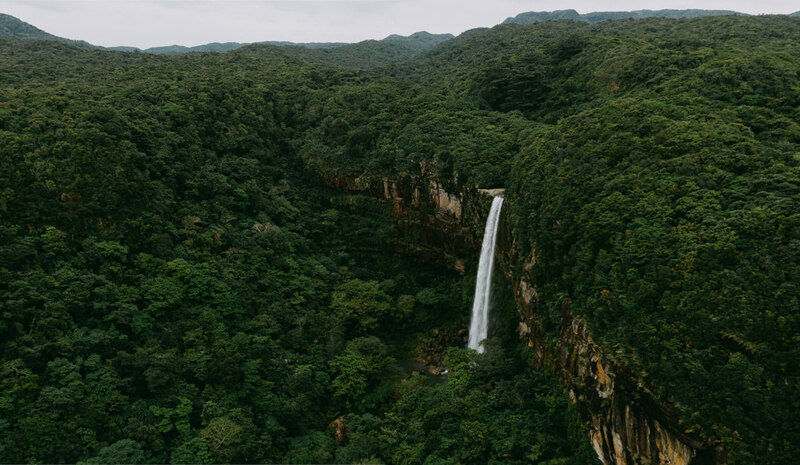 There is a view point of Mariudo Falls about half way. 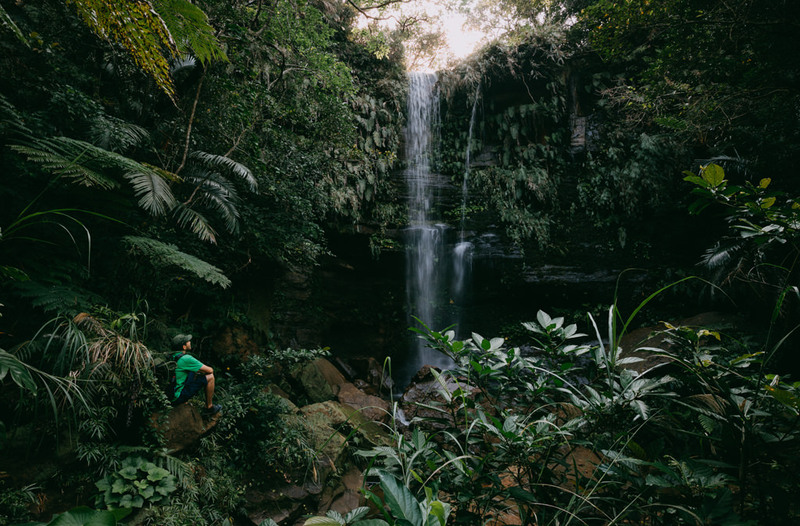 Even though this is quite a touristy route, the hike is beautiful through lush rainforest and it is fairly easy for families with small children. 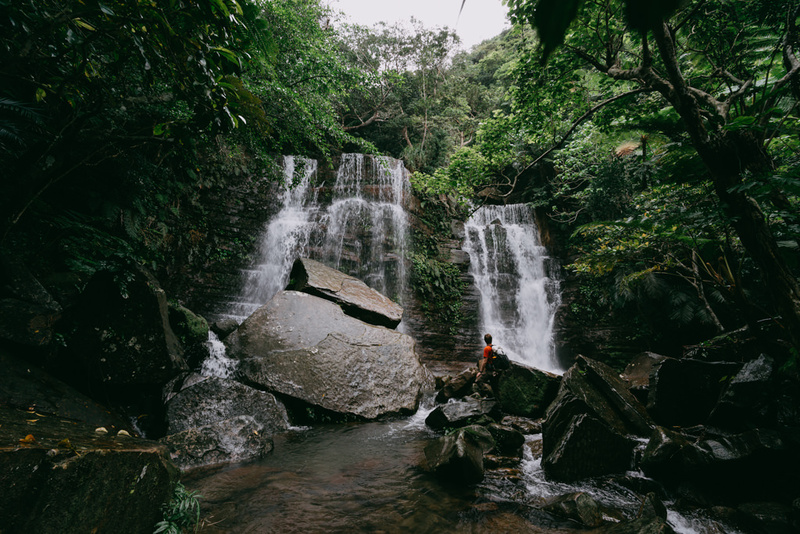 If you are equipped to continue for 2.5 hours further into the jungle after Kanpiree Falls, you can reach a waterfall called Mayagusuku Falls which is often said to be the most beautiful waterfall on Iriomote Island. 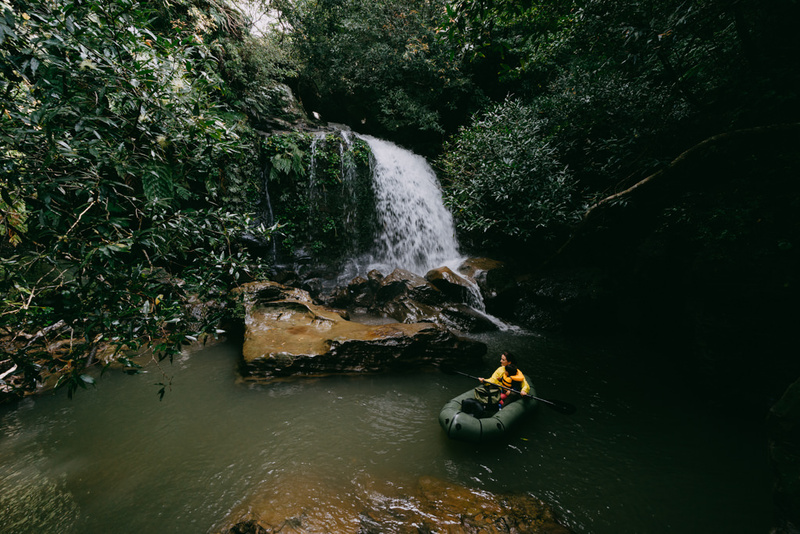 If you are paddling Urauchi River with your own packraft or inflatable kayak, we would highly recommend checking out Kaashiku Falls which is accessible only by kayak (see our map for the exact location). 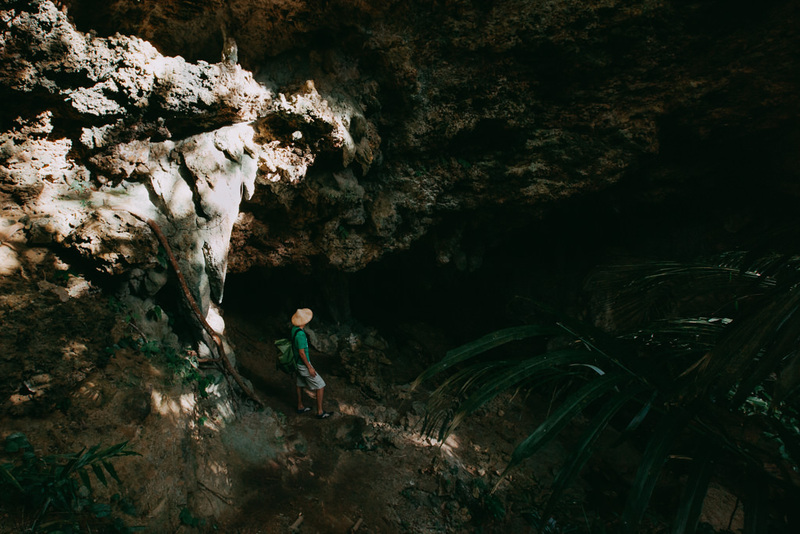 While you have your car parked near the jungle cruise boat station, it is worth taking the 15-minute walk to go and see the Utara Tankou coal mining ruins. In less than 70 years after this coal mining village of 300 people was abandoned, nature has completely taken over the remaining structures. A boardwalk restricts visitors from exploring too deeply, but you can have an impressive view of the red brick rail structure which has been taken over by banyan fig (strangler fig) trees. It’s hard to believe that there was even a theater in this village! A rather touristy beach but quite picturesque with a few rocky islets which give the beach its charm. Shallow waters make this beach inviting for swimmers and snorkelers (although there is actually very little coral here). This beach is most famous for its star-shapes sand particles (“Hoshinozuna” literally means “star sand”). Nice to have an ice cream on the rather run down terrace of the cafe/restaurant and enjoy the view. 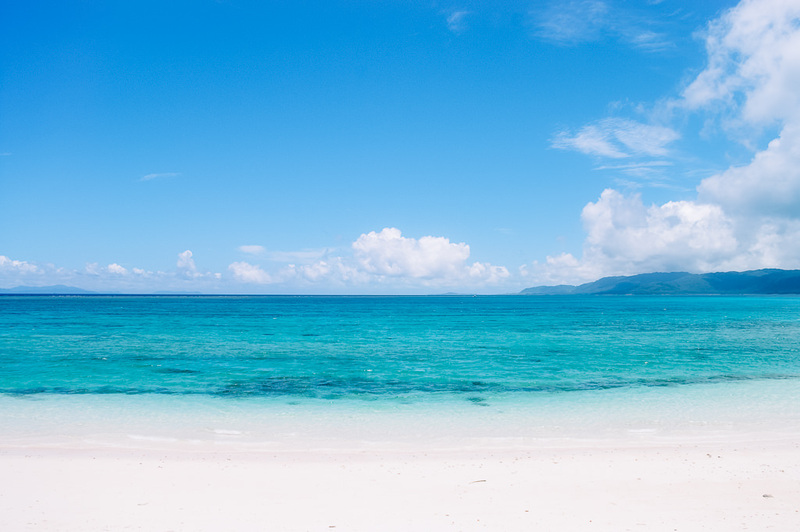 One of the few downsides of Iriomote would be a lack of very white sand beaches since Iriomote isn’t an island entirely formed by emerged coral reefs. 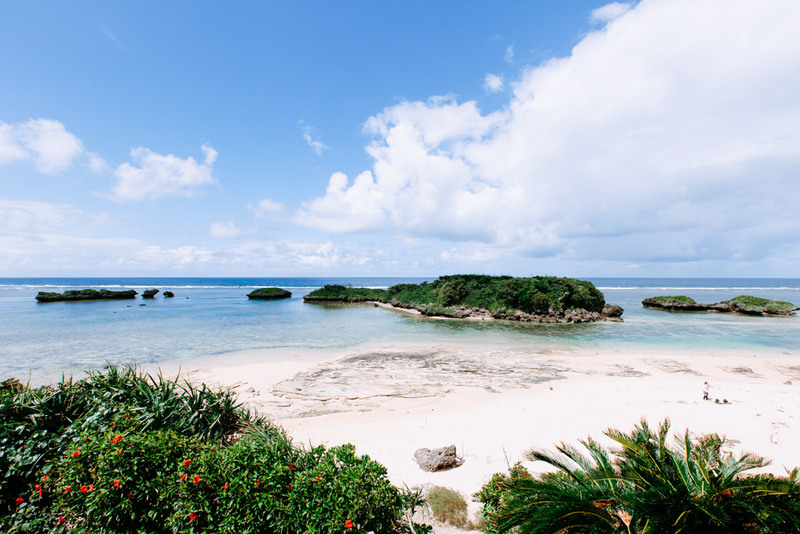 If you want to visit beaches with very white and fine coral sand for a day trip from Iriomote, we would recommend Hatoma Island or Aragusuku Island. 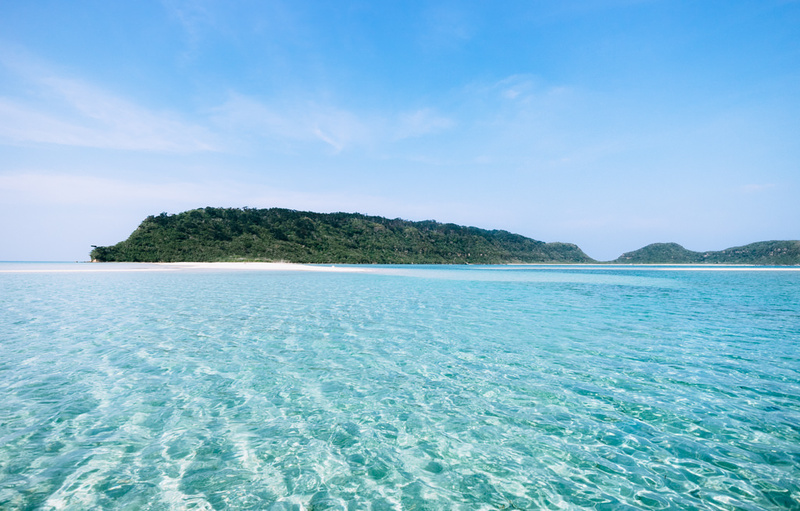 You can visit Hatoma Island by regular ferry but Aragusuku Island is accessible only with a tour or by chartered boat. 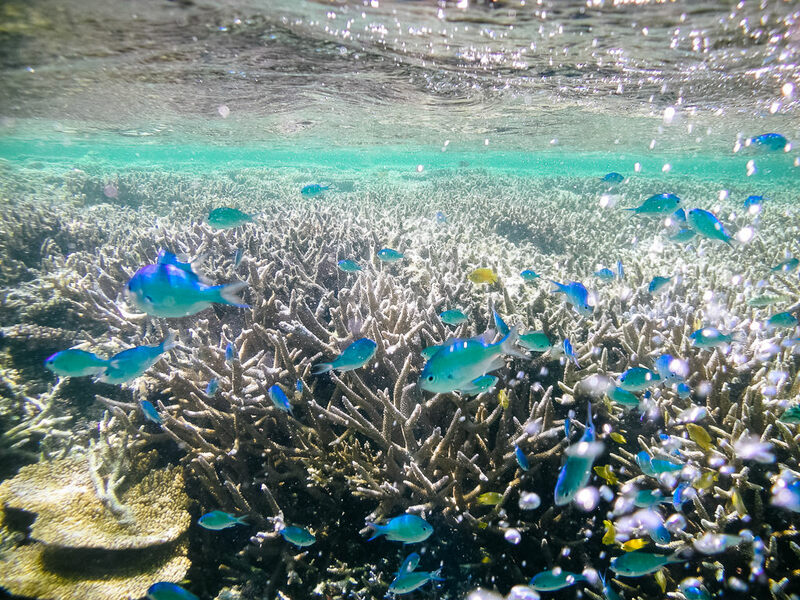 Snorkeling around these islands are also excellent. We love these road-side stalls – you never know what you’re going to find available! 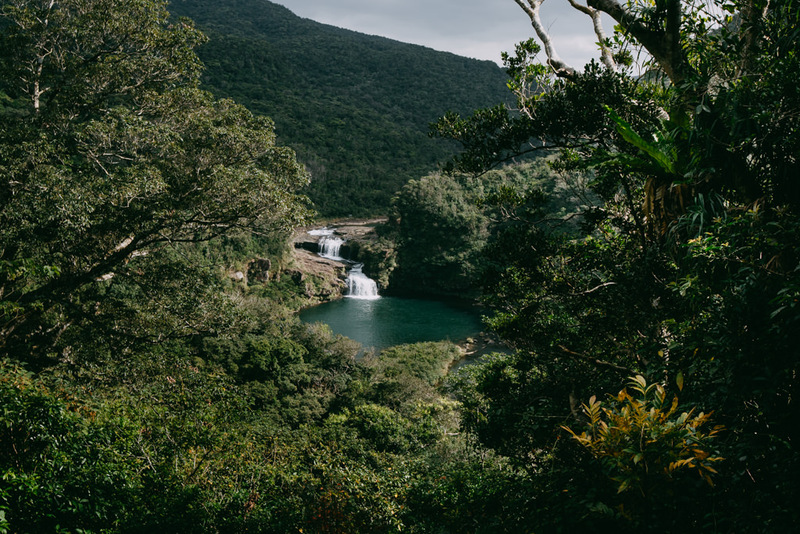 Especially great if you are cooking yourself since it is difficult to get any decent fresh produce from the supermarkets on Iriomote, as the locals grow most of their own produce and catch their own fish, then exchange with their neighbors. Just drop the designated amount in the money jar and you’re set to go. Iriomote is becoming much more popular and there are new boutique hotels or “minshuku” (simple Japanese-style B&B rooms) popping up. Basic wood cabins which are run by the small village where they are located (Hoshidate Mura Village). These no-frills cabins can house around 8 people per cabin and have basic cooking facilities. Revenue made from the cabins goes straight back into the village. The location is quite good as they are close to many sites and activities, and are next to a beach. Laugh la Garden is a casual restaurant on the second floor in the building next to the gas station near Uehara Port. Please check their opening hours/days as they take some random days off. They specialise in Okinawan pork, and burgers. If you don’t know Okinawan black pork, it is truly another thing entirely from what you may know, extremely tasty and very healthy. There are many places which do a fantastic “Soki Soba” which is a pork bone base broth, with soba noodles topped with pork spare ribs with collagen (it looks like fat but it’s wonderful collagen!). This would be a standard Iriomote lunch for us 🙂 Parlor Mimi is our favourite, located near Uehara Port, but just any casual roadside place is usually great especially for lunch — just look out for the flags. Parlor Mimi is run by fruit growers, known for their premium export-quality mangos. The also serve fresh fruit juice of the season from their farm. This non-smoking casual izayaka-style restaurant specialises in seafood. The menu is slightly more original, with a twist on traditional recipes. This izakaya is very popular amongst locals. It’s a lively place serving typical local dishes with local produce, such as umi budou (“sea grapes”, seaweed with a grape-like shape and succulent texture), goya champuru (stir-fry of bitter melon with pork and vegetables), Rafute (stewed pork), etc. They can also cook fish that you catch yourself. Traditional Okinawa kaiseki (refined multi-course) restaurant in a beautiful traditional Okinawan house located in Ohara (Nakama Port). There is just one course reflecting seasonal and special local seafood, with organically farmed and wild ingredients of Iriomote. It costs around JPY4000 per person. If the sea is rough on the day, reservations will be cancelled. A long drive for dinner if you are staying around Uehara, but it is well worth the trip. Closed on Sundays. Advance bookings are essential. 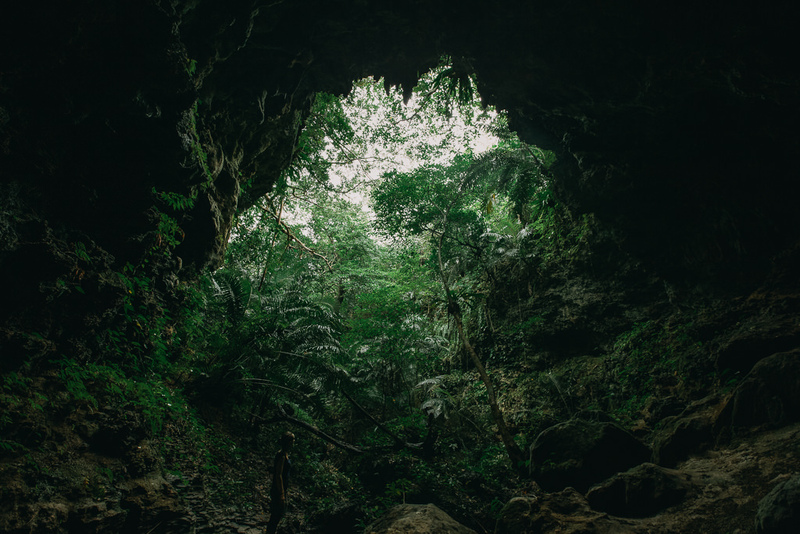 Car rental is essential on Iriomote Island if you want to do some independent exploring. 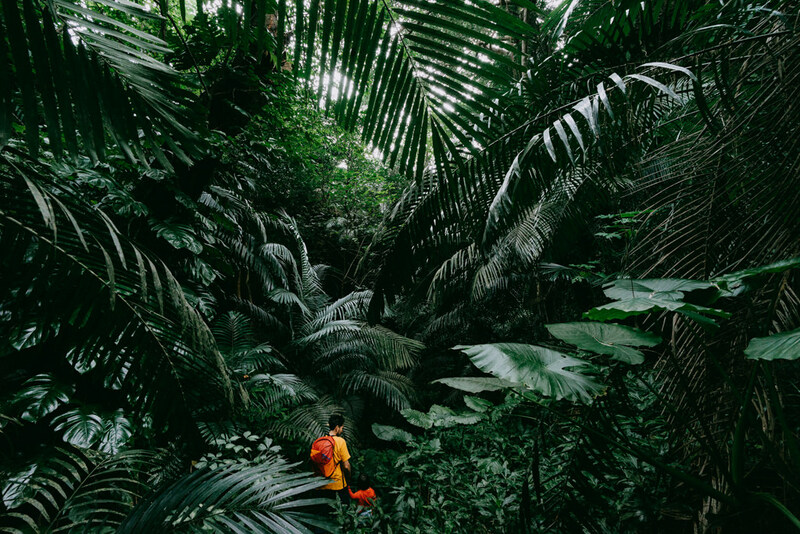 Some people rely on transfers provided by nature guide tour companies, however it is quite limiting. You can rent a small car for about 4,000 yen per day (including insurance) through the Japanese version of Rakuten Travel. Unfortunately, the price is often a lot higher on most English booking websites (only costly international rental car companies are in the English system). Best to ask someone who can read Japanese to book, or use our service. You will need an International Drivers License. 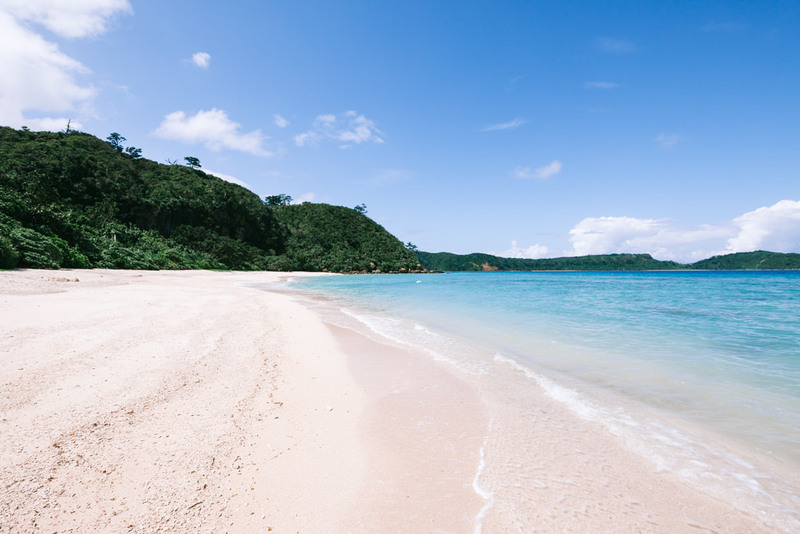 We recommend taking a ferry to Ohara port on Iriomote Island and rent a car from there regardless of the location of your accommodation because ferries to Uehara port often get cancelled even with moderate waves. 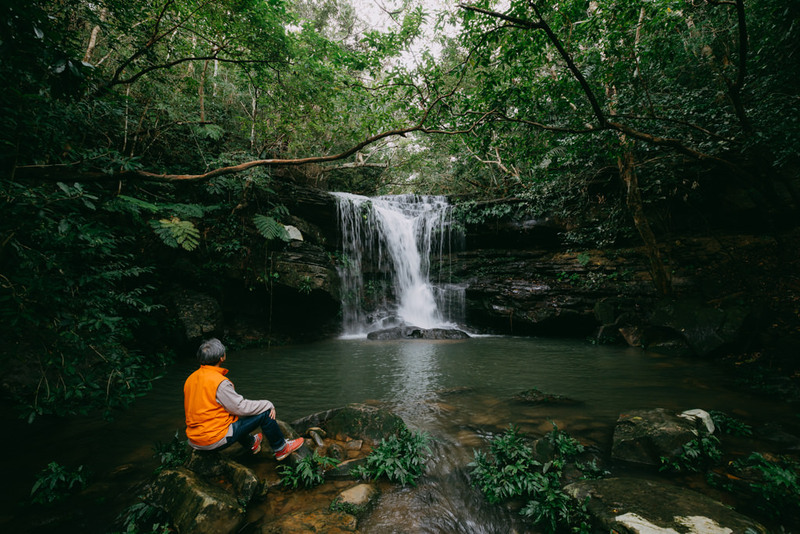 Located at the same latitude as The Bahamas, Iriomote Island has a Tropical Rainforest climate as opposed to Humid Subtropical climate of Okinawa Main Island and the other northern islands of Okinawa Prefecture. The average yearly high temperature is 26.4°C (79.4°F), and the average yearly low temperature is 21.4°C (70.5°F), making the mean annual temperature of 24°C (75°F) which is the same as Oahu of the Hawaiian Islands. 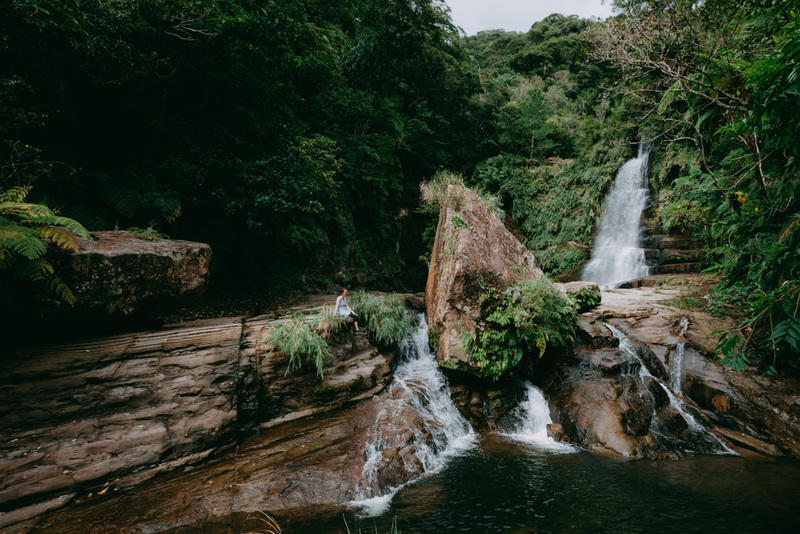 The climate is similar to Southern Taiwan, warmer than Hong Kong and Northern Taiwan due to the warm ocean current around Iriomote. 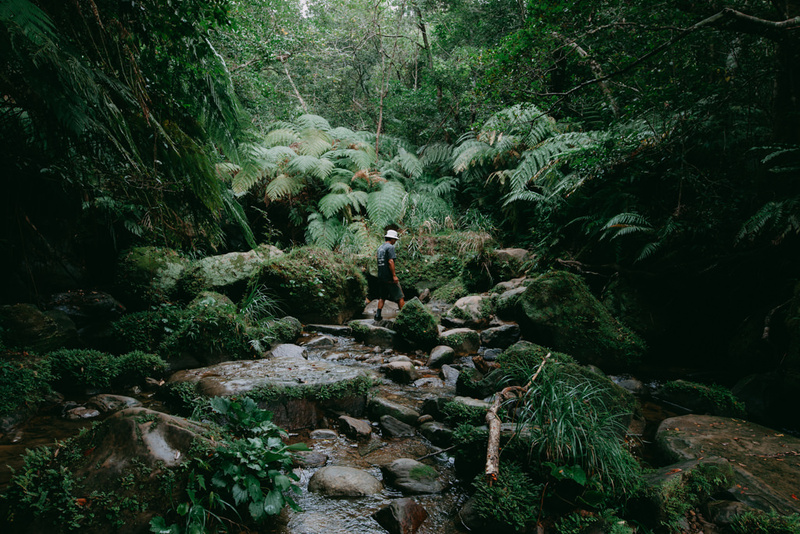 The annual average humidity reaches about 80%, which makes the feeling temperature very different from dry places with the same mean annual temperature such as Townsville in Queensland, Australia. 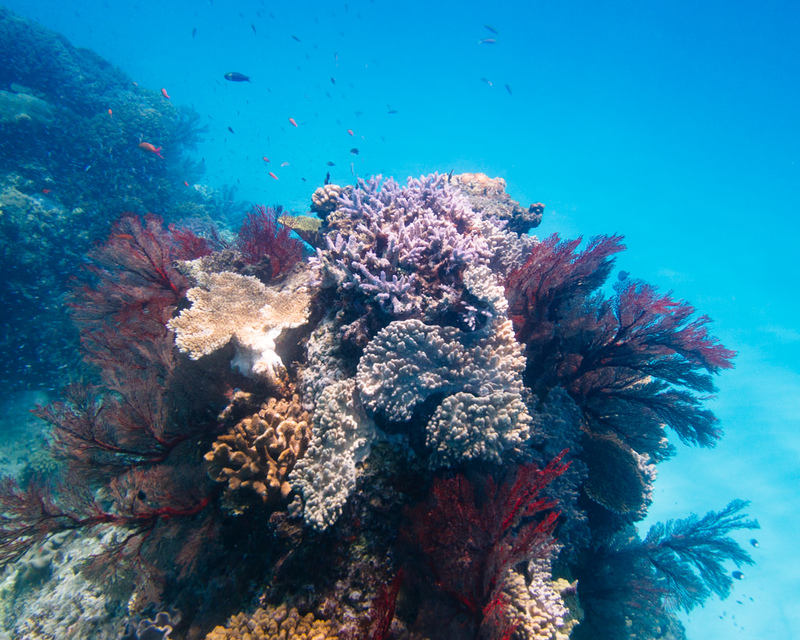 The sea temperature is warm all around the year, ranging between 21°C (70°F) and 31°C (88°F). The rainy season is May-June but it does not rain all day. Usually it’s just a few downpours in-between blue sky. The core season for typhoons/tropical storms is August-September but some years have very few typhoons/tropical storms while other years have many typhoons/tropical storms even as early as May or as late as November. However, at least one typhoon/tropical storm hits Iriomote during August or September every year. Usually a typhoon/tropical storm affects the weather only for a few days and you get beautiful clear blue sky as soon as the typhoon passes away.